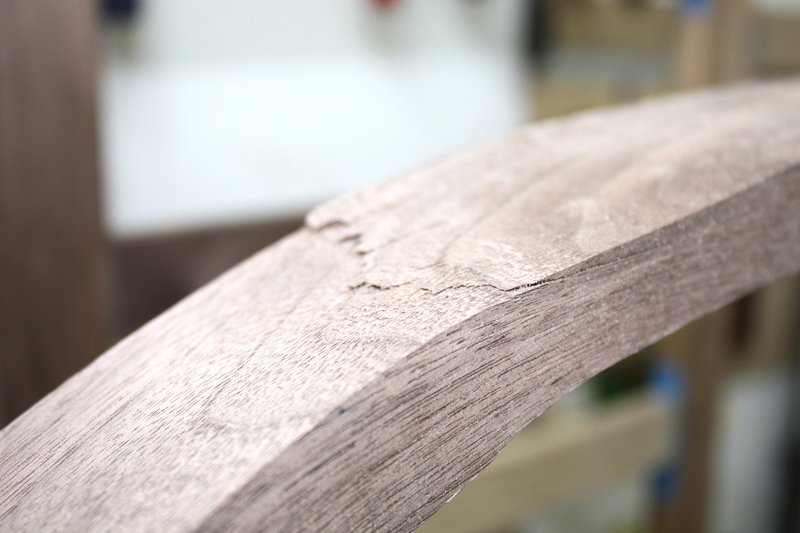 Honestly, I wasn’t sure I’d get this done by today, but I seem to be getting faster at chopping mortices, if not actually at marking them up. And it fits. 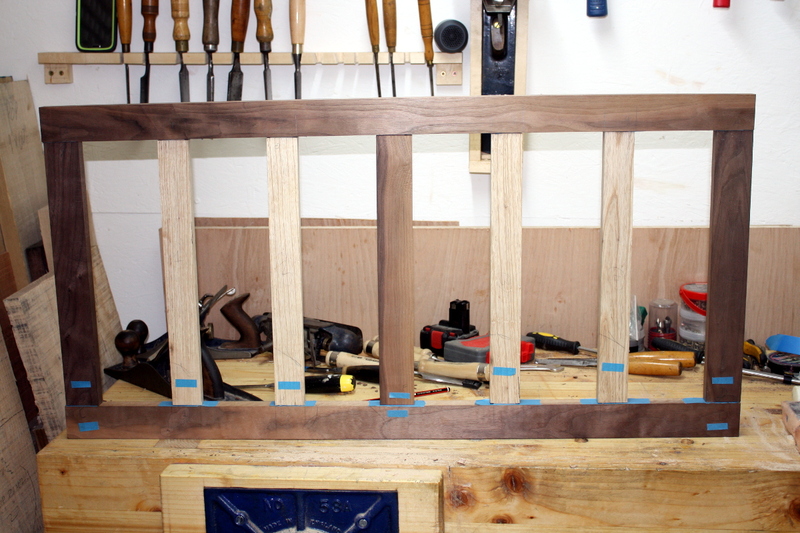 There’s a small amount of twist here and there, I think I can straighten it out for the final assembly and then pin the tenons to help keep them flat (and it’ll look cool as well, little white ash pin dots along the walnut frame). 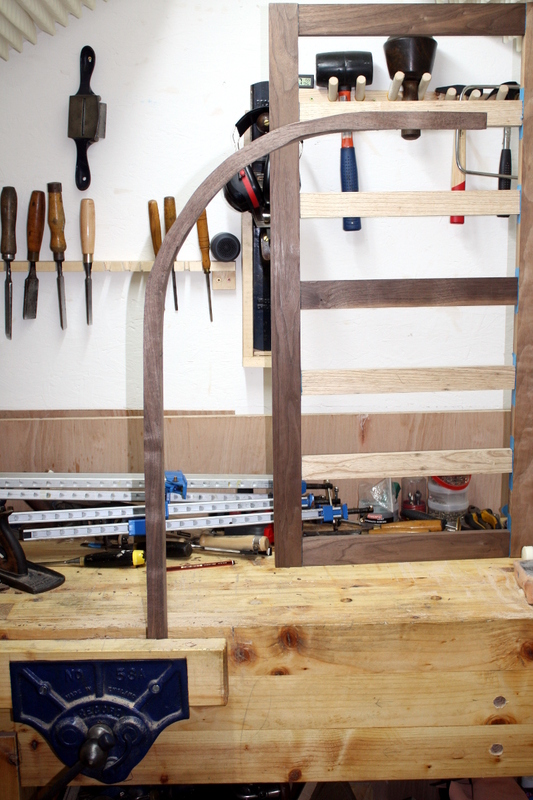 The two long front and back rails are tilted with respect to each other, that will have to be planed away on the bottom but I’ll keep it on top as it gives a kind of lip to help keep the mattress centered which is nice. 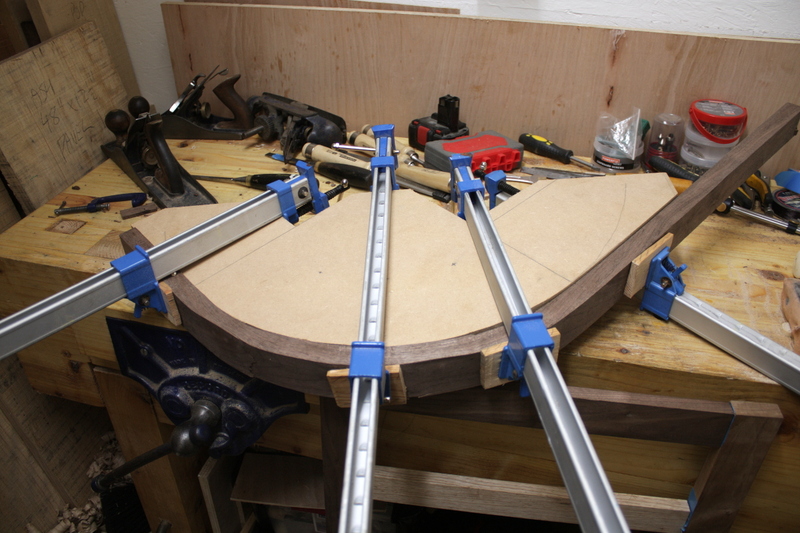 The good news is that the springback on releasing the clamps was minimal, a degree or two at the most. And none of the cracks went all the way through the frame. But they’ve not gotten any prettier since the last time I looked at them. 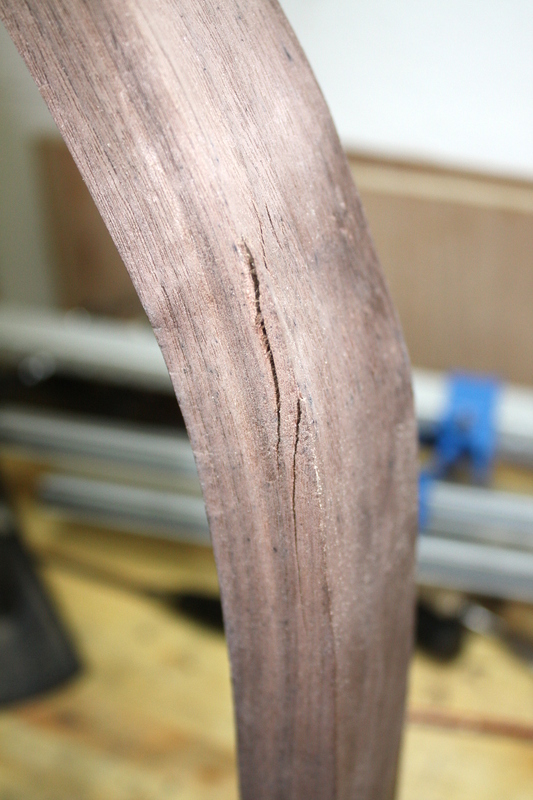 So I got out the spokeshave, and started taking away material to try to plane out the snapped bits. I wasn’t sure if this would work at all, but I figured I might as well try. 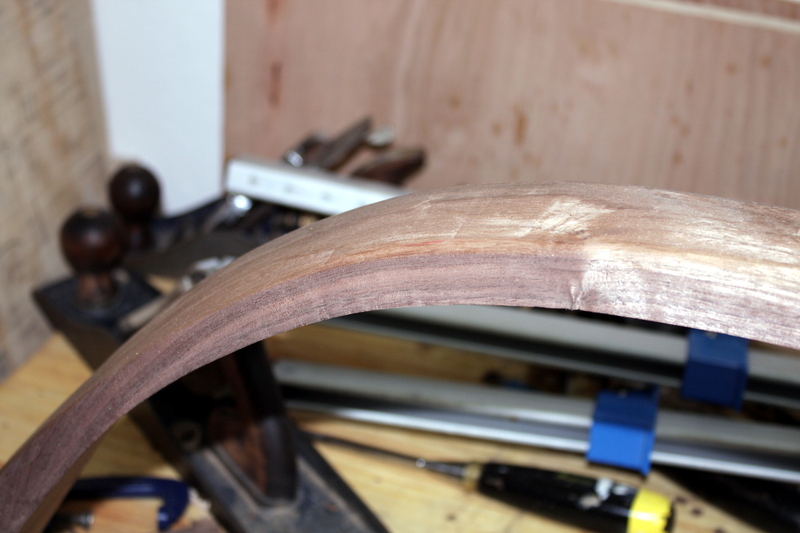 So this weekend I’ll go ahead and steam the other matching upright, and sharpen the new curved-sole spokeshave to clean up the inside curve, and we’ll check these again in a week and we might have the curved uprights for the frame, the bit I was most worried about, done. Well. 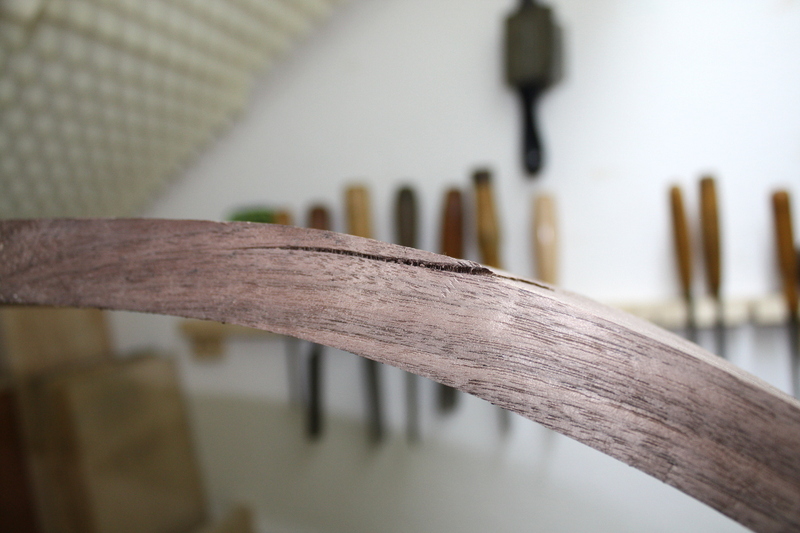 Except for cutting the mortices into the inside of the curve for the slats. Eeek. 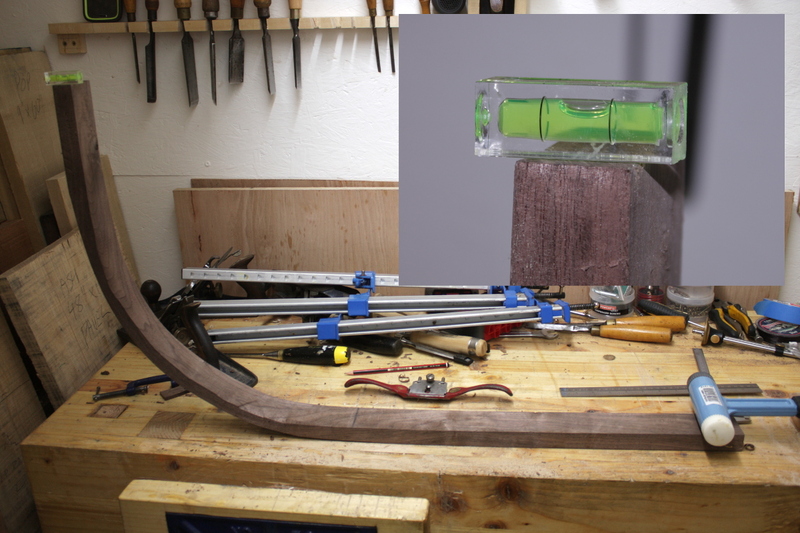 How do you cut a mortice into an inside curve? Just my opinion but those splits aren’t good looking and what is to stop them from continuing to grow? I wouldn’t trust them to handle any stress in any direction. 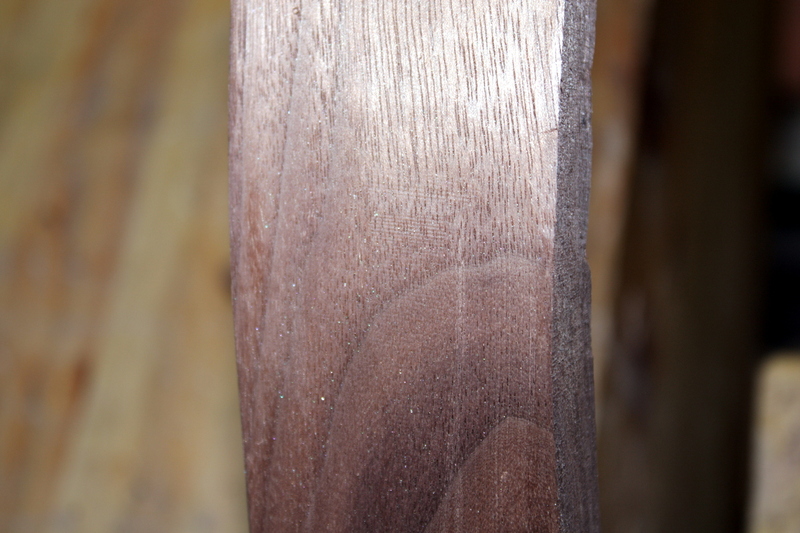 They are definitely not good-looking Ralph, but those photos are of the same spots before and after the spokeshave; there’s no trace to eye or finger of the breaks. The stresses might still be there, but isn’t that always the case? Still. 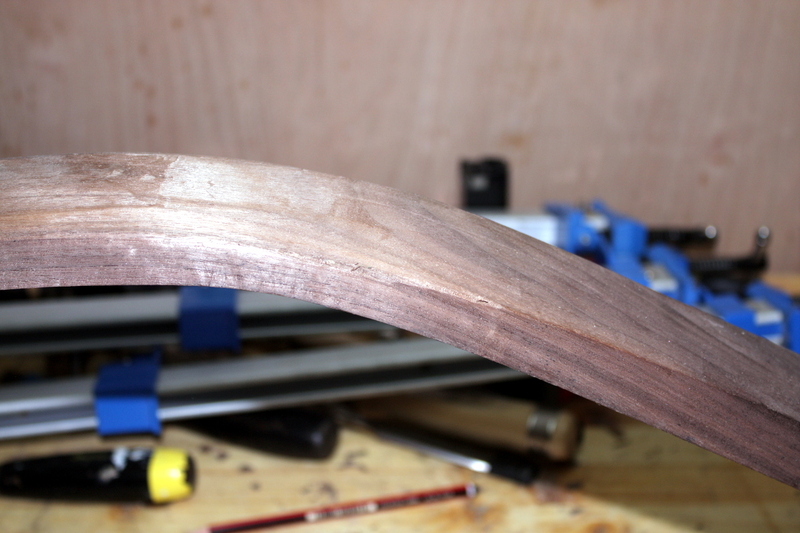 I might use the bad upright for now as a prop while I steambend another; then when the other is done, cut off the bent part from the bad upright and use it as one of the two back legs. That way I could get the frame done faster. I just don’t like losing that week, when the delivery date is so close.